join a brigade of past and present Simpsons chefs for a special one-off dinner. step back in time for a Heritage Afternoon Tea, based on 18th century recipes, at the Market Hall Museum in Warwick. Bit of a chef’s special in this week’s Table Talk, as we look to Birmingham and Worcester for the latest moves and news. After two years as head chef, Nathan Eades is leaving Michelin-starred Simpsons this weekend. Nathan is off from Birmingham to a lead the brigade at The Wild Rabbit Inn, a pub in the Cotswolds. Congratulations to Louisa Ellis for securing a place in Masterchef: The Professionals 2017 semi finals. At only 22 Louisa is the only female chef in this stage of the competition. 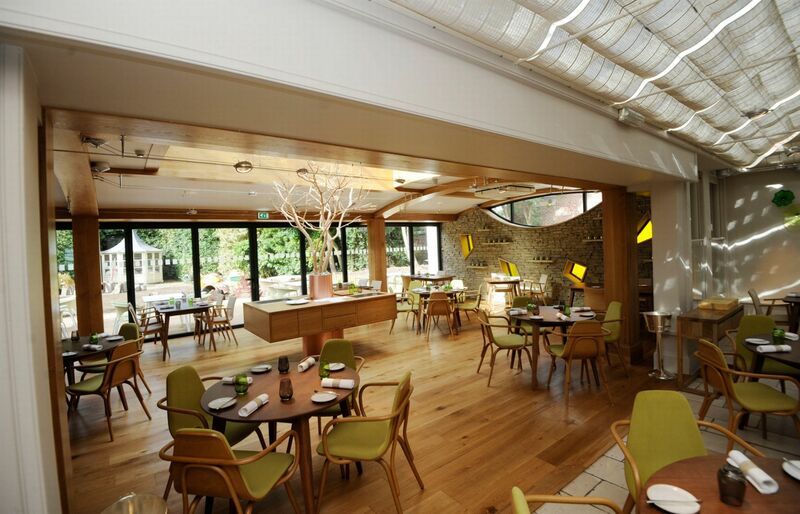 By day Louisa is the senior chef de partie at The Wilderness in Birmingham. The Crown Inn in Worcester has appointed Chris Monk as the pub’s new head chef. Formerly of Le Champignon Sauvage, Chris has introduced a new seasonal a la carte menu that Birmingham blogger Meat and One Veg rated highly. Birmingham has secured fifth place in the latest edition of Harden’s Best UK Restaurants 2017. This annual guide is based on one of the country’s most detailed surveys of regular restaurant-goers. In Harden’s 26th poll of diners 7,500 participants contributed 50,000 reviews for food, service and ambience. Congratulations to top scorers Adam’s, Carters, Lasan and Original Patty Men with 5/5 and Al Frash, Gourmet Burger Company and Jyoti with 4/5. 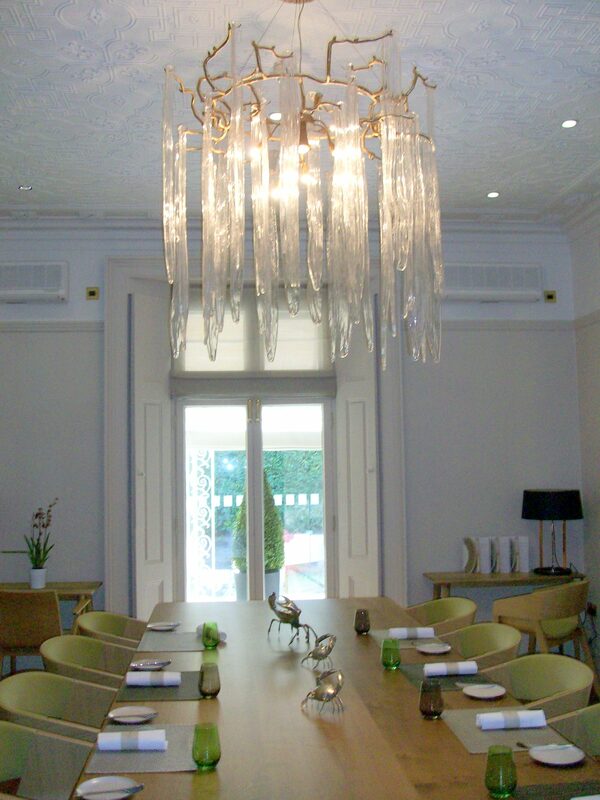 After a three month break to refurbish the restaurant, Simpsons in Edgbaston has revealed a stylish new look. 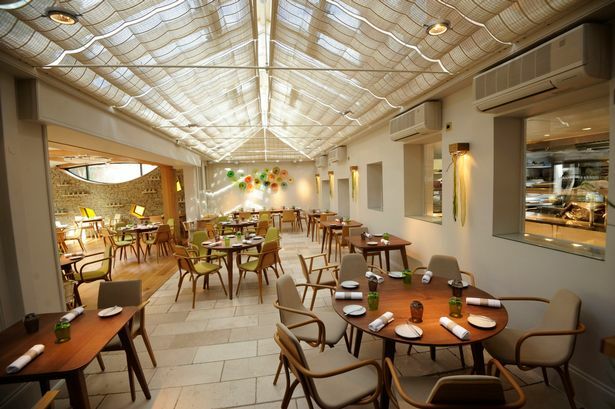 Simpsons chef-patron Andreas Antona said: “The refurbishment was a couple of years in the planning and several months and plenty of sleepless nights in the making. We wanted something that captured the spirit of the time, something that was natural, simple yet elegant and I believe we’ve achieved this. By knocking through the wall of the original restaurant to create a single dining space, diners are greeted with an elegant, light-filled space, with windows into the kitchen on one side and patio doors to a decked area for al fresco dining on the other. Leisure Concepts (in Kenilworth where the original Simpsons restaurant was based) are responsible for the interior which takes inspiration from the simple styles of Bauhaus, Japan and Scandinavia – which Andreas has always admired. 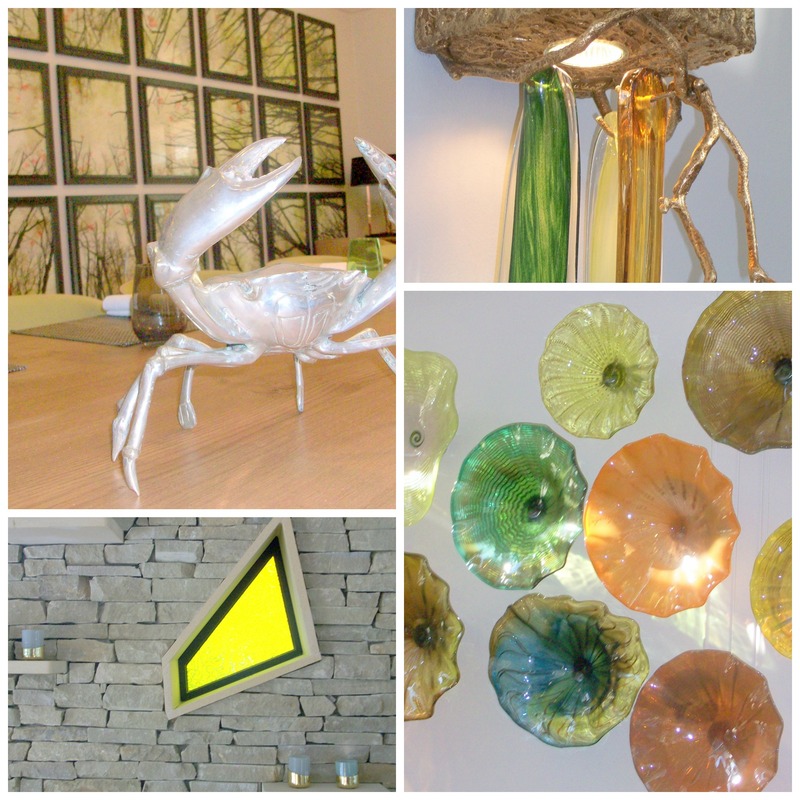 The effect is natural, with artwork that focuses on natural scenes and shapes and a palette of green, yellow and oak. Last week I joined local businesses, chefs and journalists invited to experience the new look Simpsons during a rather gorgeous lunch. 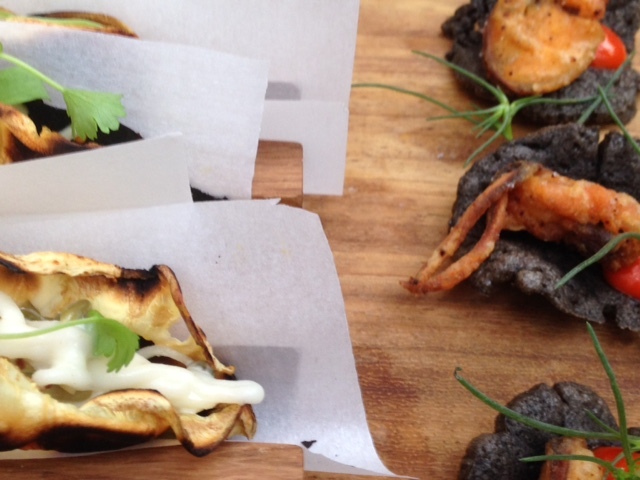 Canapes of a deep fried mussel on a black seaweed crisp and a celeriac taco were served as guests admired the stylish new décor. 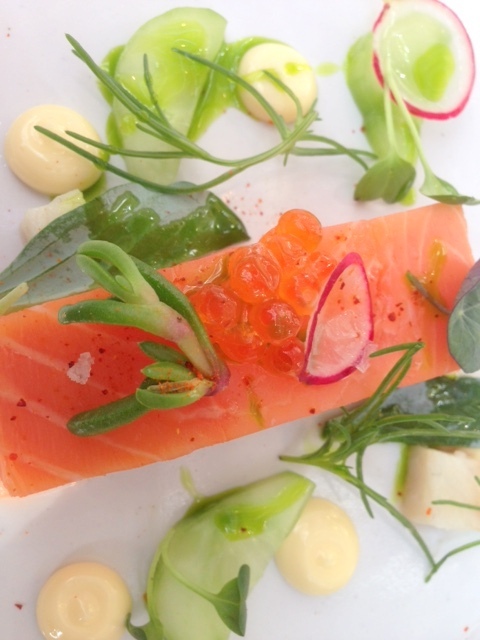 Our perfectly cooked salmon starter came with smoked eel, pickled cucumber, radish, yuzu mayonnaise and sea herbs. 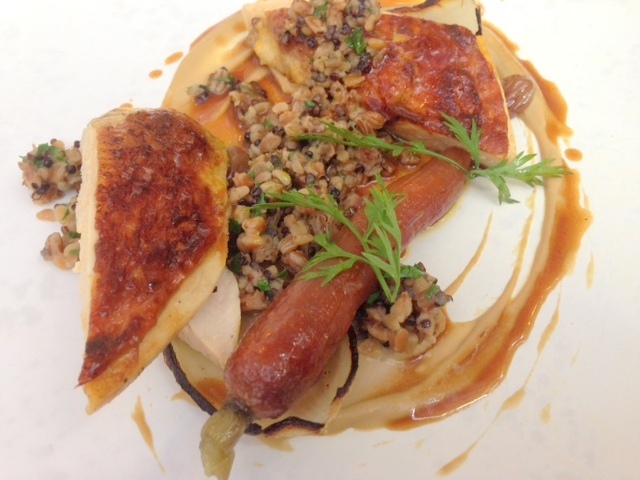 The delicious grouse main course was served on a bed of toasted grains with cep puree, heritage carrots, grapes and verjus. A pre- dessert of lemon jelly and lemon mousse, topped with gin and tonic granita in a shot glass was a palate cleanser before a beautiful dessert. 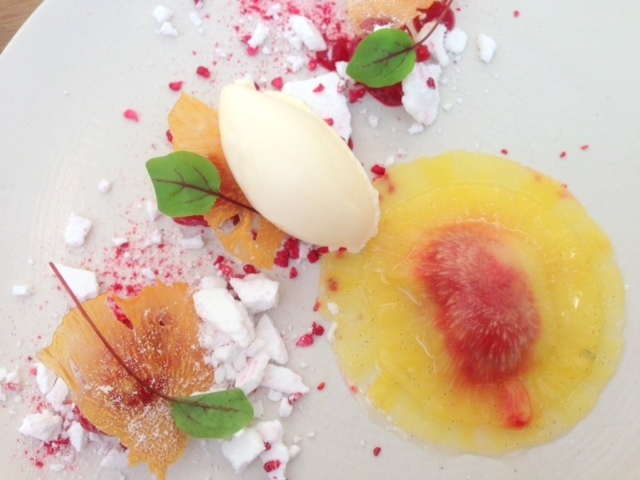 Lightly toasted wafers of pineapple, smashed meringue raspberries and lemongrass ice cream. Simpsons is also welcoming three new team members. Nathan Eades who joined as head chef, Matthew Hough who left London’s Hedone to become Simpson’s general manager and Maelys Jacquot who takes on the role of restaurant manager. With new set lunch, five and eight course menus to enjoy Simpsons, who have retained their Michelin star for sixteen years, has re-affirmed their place as Birmingham’s finest place to dine. The Cross in Kenilworth is about to welcome Simpson’s head chef Adam Bennet as their new chef director, as Simpsons takes over the dining pub. Back in January I blogged about three new openings in Birmingham that I was looking forward to visiting, Fleet Street Kitchen, Adam’s Restaurant and The Edgbaston. Fleet Street Kitchen opened in March which I have reviewed, Adam’s Restaurant opens on 12th April and I’ll be attending the press launch next week, so the only one left to update you on is The Edgbaston. 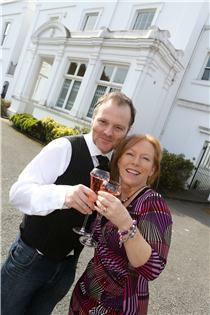 Award- winning cocktail lounge and boutique hotel, The Kenilworth, has exchanged contracts on a new venue in Birmingham. Owners Stuart and Darren Insall plan to transform 18 Highfield Road into The Edgbaston cocktail lounge with two bars and a six room boutique hotel. The Edgbaston is due to open later this year follow @TheEdgbaston for updates. To celebrate their seventh birthday Purity Ale is collaborating with Michelin-starred Simpsons restaurant on a special one-off event. Join them on Wednesday 28 November for a five course menu, where each dish has been designed to match the flavours and aromas of Purity’s award-winning beers and specialist imports. Tickets are £85 per person, including food, beers and a gift pack to take home. To reserve your place please contact Emma White at Simpsons on 0121 454 3434 or info@simpsonsrestaurant.co.uk.